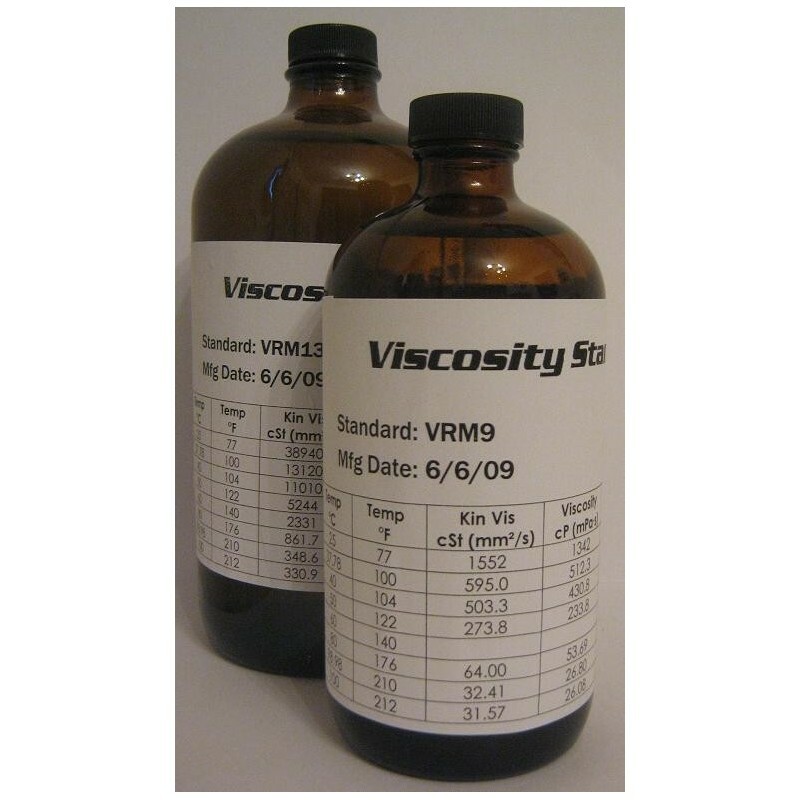 VISCOSITY STANDARDS Are specialized fluids intended for use in the calibration of viscosity measurement equipment and other verification procedures. All of our viscosity standards meet the precision specifications of ASTM D445. All of our viscosity standards come with a printed copy of the standard's data and MSDS. A few of the standards available are shown on this page, however, we can provide a Viscosity Standard for nearly any application.